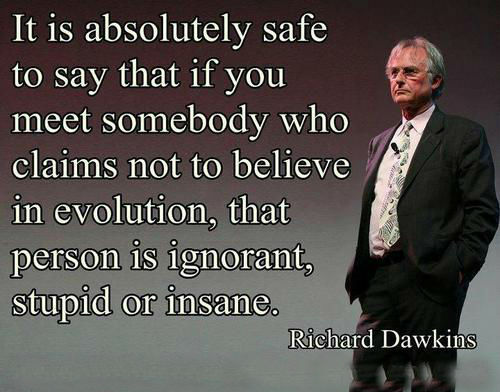 It is absolutely safe to say that if you meet somebody who claims not to believe in evolution, that person is ignorant, stupid or insane. I don’t give a damn for anyone’s opinion. I only care about the facts. 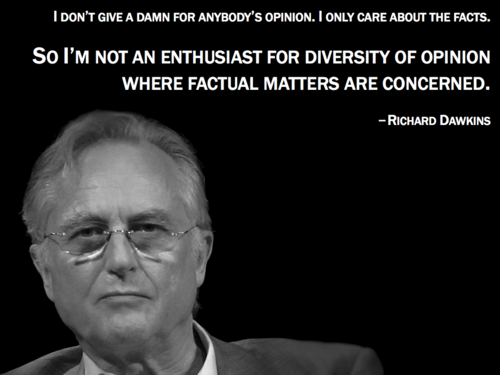 So I’m not an enthusiast for diversity of opinion where factual matters are concerned. 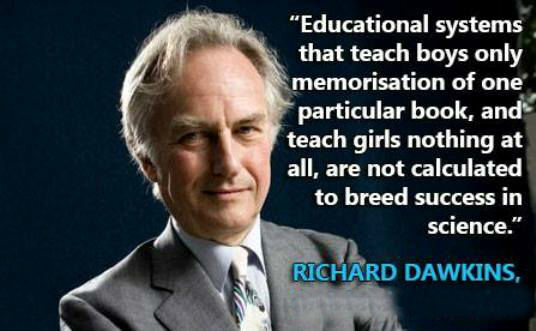 Educational systems that teach boys only memorisation of one particular book, and teach girls nothing at all, are not calculated to breed success in science. 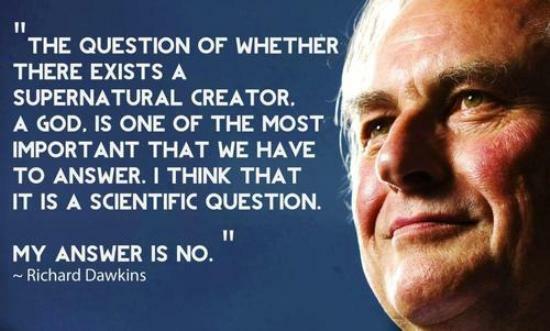 The question of whether there exists a supernatural creator. A God. Is one of the most important that we have to answer. I think that it is a scientific question. My answer is no. 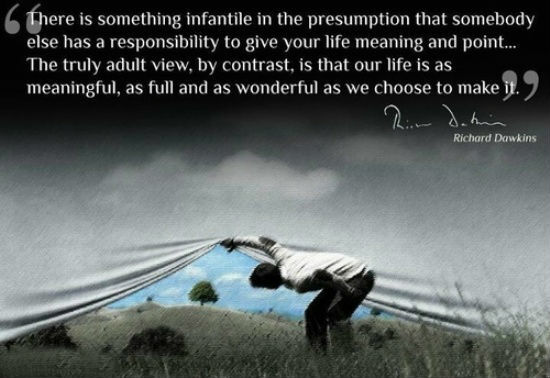 “Chance” is just a word expressing ignorance. 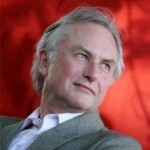 The idea of a divine creator belittles the elegant reality of the universe. 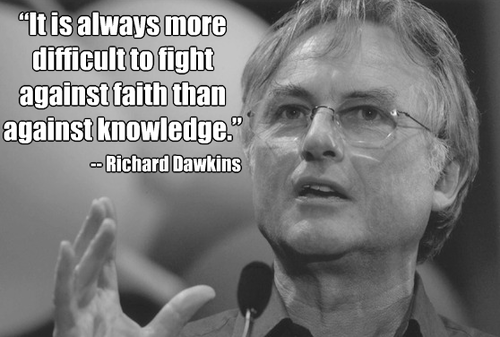 Science replaces private prejudice with public, verifiable evidence. It has no vision, no foresight, no sight at all. If it can be said to play the role of watchmaker in nature, it is the blind watchmaker. There is a better reason for studying zoology than its possible ‘usefulness’, and the general likeableness of animals. This reason is that we animals are the most complicated and perfectly designed pieces of machinery in the known universe. Put it like that, and it is hard to see why anybody studies anything else! 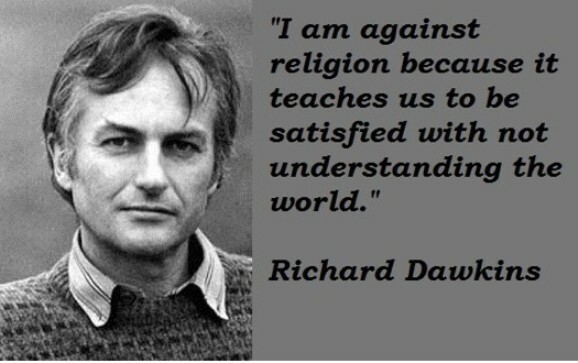 Clinton Richard Dawkins, FRS, FRSL is an English ethologist, evolutionary biologist and author. 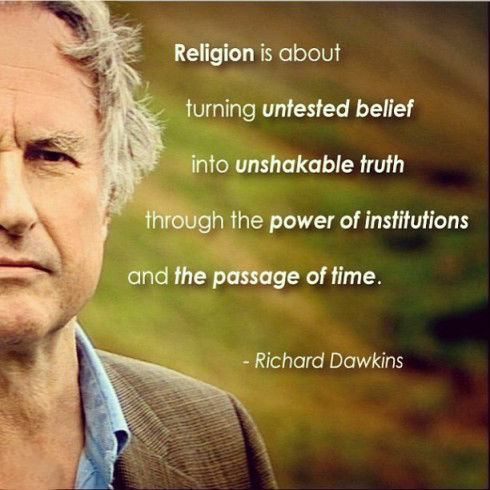 He is an emeritus fellow of New College, Oxford, and was the University of Oxford's Professor for Public Understanding of Science from 1995 until 2008.